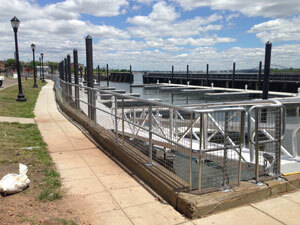 Aluminum railings with stainless cables. 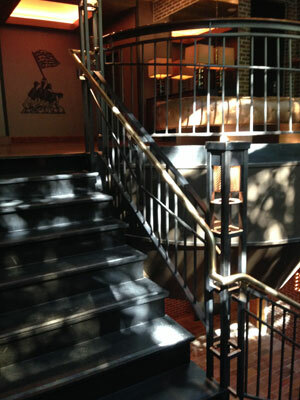 Bronze handrail attached to steel guardrail. 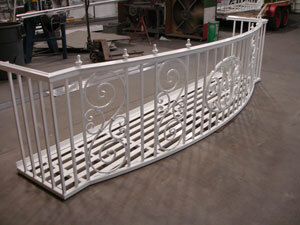 Galvanized steel railings with stainless steel mesh. 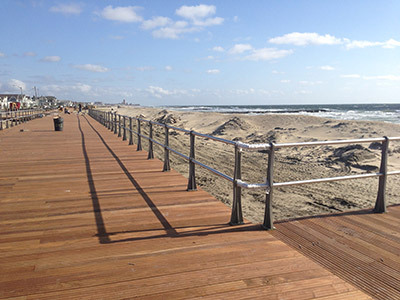 Avon boardwalk railings. Jersey Strong! REBUILDING! 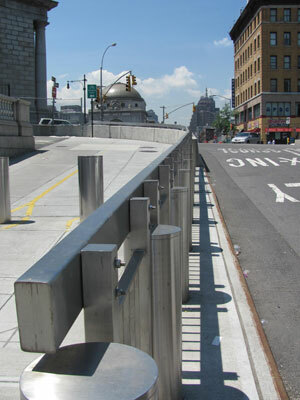 Stainless steel decorative barrier rails and guard rails, supplied for bicycle path for the Army Corp of Engineers. Decorative powder-coated aluminum trusses, window grills and sign board. 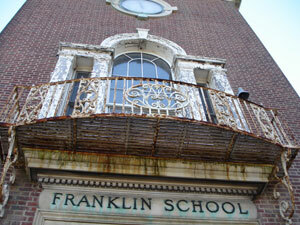 Replaced rusted and unstable balcony with period-correct powder-coated aluminum reproduction. 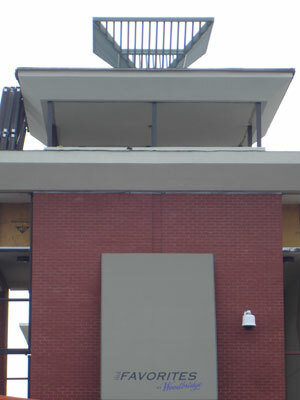 Ten foot (10') square, by ten foot (10') tall upside-down powder-coated aluminum pyramid design element for state's first off-track wagering facility. 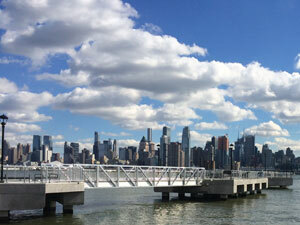 Architect designed one-piece welded structure could not have been powder-coated, due to its size. American Custom Fabricators, Inc. (ACF) re-designed structure into four pieces that could be powder-coated, then assembled at job site. 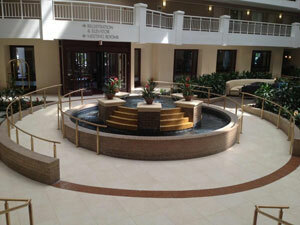 Replaced steel railings which required constant attention, with beautiful bronze architectural railings. 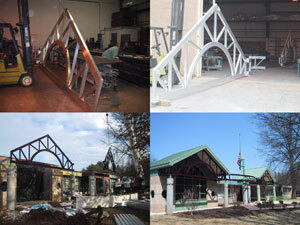 All components fabricated by American Custom Fabricators, Inc. (ACF).